Fill out the form with any questions or inquiries you have for the sales consultants at The Haven. You can also call or chat with us for immediate responses. Step inside Belfort to see the Life-Tested Home Designs® with more usable space where you want it most. So you live the way you want to live. In the Belfort, you’ll find a kitchen island designed to accommodate casual seating, serving and prep space. Add Whirlpool® stainless steel appliances, granite countertops and walk-in pantry, and entertaining is a breeze. 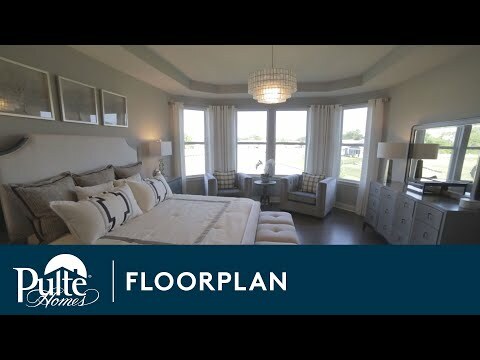 Optional tray ceilings in the foyer and Owner’s Suite bring elegant detail to the space, and Emser® tile in the bath and laundry room make it easy to live in this popular home design. 4-1/4” Base Board and 2-3/4” Casing first floor; 3-1/4” Base Board and 2-1/4” Casing second floor.